At 140,000,000 miles from Earth, Mars looms as the next closest planet in the solar system, and is perhaps the most famed planet beyond our own. Mars has captured wonder and curiosity since man first started peering into the heavens to contemplate the origins, surfaces, and potential for life on the celestial bodies dotting the sky. Less than 100 years ago for example, the astronomer Percival Lowell studied the surface of Mars in great detail and concluded the planet to be home to intelligent “Martians” who had developed technologically advanced civilizations with planet-wide canal systems. While this has proven to be false, Mars is still as beautiful and as marvellous as it has ever been in the dark night sky. 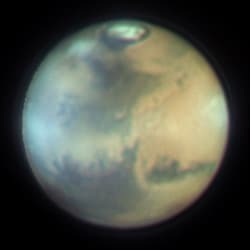 While most people have seen images of Mars in incredible resolution, like Nasa's image above, we backyard astronomers should prepare for images through our personal telescopes that are less amazing. But that isn’t necessarily the point. For those of us with an undeniable passion for astronomy, not owning a telescope would be like the average person being cut off from the internet. Instead of simply viewing the perfect picture taken with multi-million dollar equipment, it’s about seeing the planet in a backyard through a personally owned piece of equipment. It’s about having the power to observe Mars over the course of time, to learn it and study it, and to become familiar with its magnificent features, climate, and geography. However, for budding astronomers who aren’t sure yet about their interest, Mars and other celestial bodies are one of the best places to start for the rewards they bring to your eyepiece. Many resources exist to learn about the planet and even view it through a scope, but the best way to develop a sustained interest is to start learning over time by actually doing it and to invest money slowly. Equipment can be expensive, so it’s best not to spend too much on a hobby that might not hold the same excitement over time. But for those who become captivated by the planet, amateur astronomy can be an exciting hobby to share and enjoy with friends and family over a lifetime. As previously mentioned, for those who haven’t yet fully developed their passion for astronomy or the Red Planet, the best option might be to stoke interest and knowledge with involvement in a local astronomy club. Click here to find an Astronomy Club near you. For people who have astronomy clubs in their local area, this is a great option for learning more about equipment, amateur astronomy, and getting the best observing of all the planets, including Mars. The best part, as I have found with my own astronomy club, is that the more experienced members are happy to share their knowledge with curious newcomers, and will even allow people to view the planet with their telescopes. New amateur astronomers can learn a lot by doing this, and all without spending a penny! ​Viewing with just the naked eye, Mars appears to be a bright, reddish-orange star in the night sky. You can use this link to see where Mars is in the sky tonight. The first piece of equipment to consider purchasing as an amateur astronomer interested in Mars is a pair of binoculars. Most veteran astronomers recommend binoculars first because they can give almost as good an image as a small telescope, and they’re definitely a step up from viewing the planet with no equipment at all. My own experience says not to go overboard on the magnification without either image stabilization or a decent tripod. Bigger binoculars are heavy and take a lot of holding. Couple that with a powerful magnification, and you'll find that the image shakes too much for it to be of use to you. This is about the cheapest pair of binoculars to offer image stability (but they are not cheap). You'll save yourself a lot of cash if you buy this pair of binoculars without image stabilization together with this tripod instead of going for image stabilization. However, even with binoculars, the red planet will still only appear to be a reddish orange star, only brighter and bigger. To depict any detail of the planet’s surface, a decent telescope will be needed. This is a big purchase though, and shouldn’t be taken lightly. Before pulling the trigger on a brand new telescope, make sure to do your research! Here at Love the Night Sky, we are reviewing the best telescopes available today, as judged by their owners. Click here to read our first review, which is for telescopes below $300. If you decide to take the plunge, there a few things to think about before buying a telescope. First, buying used can save a lot of money off the price of a brand new unit. While new things are nice, a lightly used telescope, or one that has been well maintained and cared for, can give the same capabilities at a fraction of the cost. It’s a good idea for amateur astronomers to check with their local astronomy club about any scopes that might be up for sale. Alternatively, you can click this link to find used telescopes on eBay. As for the elements of a scope that need to be considered, the three most important parts of a scope are the aperture, which is the diameter of the lens, the focal length, which is basically how long the scope is, and the quality of the mount. Additionally, there are three primary types of telescopes, including reflectors, refractors, and compounds, and each has advantages and disadvantages. Reflectors are typically the cheapest, but with downsides in performance, while refractors are considered the highest quality scopes, but are also the most expensive. 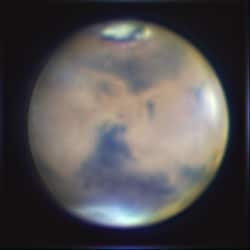 Even though Mars is close to us, it’s small relative size in the sky can make viewing its finer details more difficult. It’s recommended to use a scope with an aperture of around 6” or more to see it clearly, which you should expect to pay over $300 for at the least expensive end (click this link for an example). For any planet watching get a scope with a long focal length, as that's preferable for viewing smaller, more focused patches of the sky and brighter objects. And make sure the mount provides a high degree of steadiness to keep the scope from moving once it’s fixed on a spot in the sky. Beware of purchasing scopes in department stores that advertise high magnification capabilities or power. This is typically just a marketing tactic, and the telescope is likely not as capable as it’s manufacturer’s marketing department would have it seem. It’s best instead to do some research online, speak with knowledgeable people, and to even purchase directly from reputable manufacturers and retailers. Next, it’s a good idea to try colored filters, or even colored cellophane to get different perspectives of the planet. Colored filters will enhance and diminish some features, allowing the image seen through the scope to be better in some ways than it would be by just viewing it without a filter. For example, both red and orange filters provide a high degree of contrast between geographic features. Technology has made most things easier today, including stargazing and planet observing. App-stores have celestial body trackers that can be used to identify the objects present in the sky above at any given time, such as GPS tracking and the motion sensors within these devices allow them to produce interactive images of the night sky. Different bodies and objects can be tracked through a simple search function, and their information and data can be provided immediately. 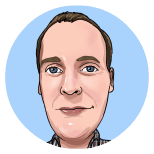 This article makes recommendations for iPhone apps, and this one for Android. Some telescopes even have this capability right out of the box with automated tracker systems. These systems come pre-loaded with a multitude of different objects to set the scopes sight’s on, including Mars, or you can buy a sky tracking motor to add to your existing telescope. 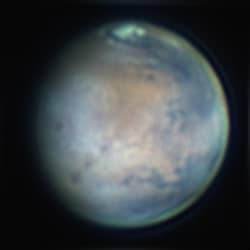 Trying to view the Red Planet at the wrong time can mean only seeing it as an undefined disc. It’s still possible to see the planet, and a better telescope will mean better viewing, but it’s best to view it only during certain times. For Mars, this is a four month span once every 26 months, which is known as an “opposition”. During this time, Mars is as close to the Earth as possible based on the orbits of the two planets. The next opposition for Mars is slated to begin on May 22, 2016, and it’s recommended that new amateur astronomer’s use as much of this time as possible to see the planet as clearly as possible. This article shows all the mars oppositions to 2027, and I have to say... 2018 look worth the wait! To develop a better understanding of Mars, it can be helpful to record the images from every night of viewing. You can either do this through sketching at your telescope, or astrophotography. Drawing the prominent features that are seen on the Martian surface can be a useful way to later research those same features. Depending on the size of your telescope, this might be the wax and wain of the polar ice caps over the year, or recordings of sand storms, valleys and craters. Sketch pads and pencils are the perfect tools to use for drawing, as sketch pads can be used over time, and pages can be dated to record when the image was drawn for better reference of the planet’s location and visible surfaces on the given date and time. Of course, using a camera to shoot pictures through the lens of the telescope can provide a lot better pictures, if you know what you're doing. If you're starting from scratch (like me) be prepared for a lot of learning and practice, particularly in matching the properties of the camera lens to the telescope lens. After a bit of practice however, it’s possible to get some impressive shots that can be used for reference as well. With a lot of work, you could be getting images like those below, which can be found over on George's Astrophotography website. You should note though that astrophotography can be very expensive, particularly because of the specialized lenses, cameras and other equipment used to capture images of celestial bodies. If astrophotography is something you are interested in getting into (or better at) then I strongly recommend the Astrophotography Tutorial videos of DugDog on YouTube. So what is the benefit of drawing images over taking pictures? For one, drawing the features of Mars will allow viewers to truly become more familiar with the planet. Taking images is quick, easy, and doesn’t require any particular attention to be paid to the finer details, at least when actually taking the picture. If you get good at it, there is a good argument that making the picture requires a very good eye for detail. Drawing an image necessitates carefully sketching a fine set of lines, ridges, or what appear to be craters. It allows viewers to really think about what they see and what they’re drawing, just because it requires so much more attention in order to create a faithful representation of the night’s viewing. While both methods can be used (and I secretly lust after taking great pictures), I'm trying planet sketching drawing first to increase that familiarity of the surface. Mars has some amazing features that new amateur astronomers will want to look for every time they peer through a telescope. These include the polar caps at the north and south of the planet, which appear as a whitish color and grow and shrink with the mars seasons. There are lots of images to be seen of the Mars polar caps in this Wikipedia article. The valley known as Valles Marineris stretches for 2,500 miles and is 8x as long, 10x as a wide and 3x as deep as the Grand Canyon! The volcano Olympus Mons, which is the biggest in the solar system at 374 miles across and 16 miles tall is the third prominent feature on the surface of Mars. To give some context, it is about the size of France! But these aren’t the only features to look for: just like Earth’s surface, Mars has many interesting geographical features that can be faintly seen under the right circumstances, even if it is just the different blurry shadows that your scope can capture. The Mars day is around half an hour longer than Earth's, lasting 24 hours and 37 minutes. This means that the entire surface of the planet can be viewed during oppositions by doing viewings over the course of a month or more. This makes it possible to record (by drawing or photography) all of the most prominent features on the planet. Most people have a good understanding of the surface of Earth in terms of the geography of the continents and oceans, but how many people have the same intimate knowledge of Mars? After a month or so of regular viewing, it’s possible to be just as familiar with the surface of the Martian Planet and you'll have seen it through a telescope in real time. Mars can have some pretty bad dust storms. When it does, viewing Mars can becomes very difficult, and it might even seem to be just a reddish orange globe during some of its worse planet-covering storms. Even so, while the details of the planet won’t be able to be seen as well, or even at all, it can still be a sight to behold. It’s amazing to see what appears to be such a peaceful image of a faint orange disc knowing full well what it must be like to stand on the surface of the planet in its thick red-orange, dusty haze. There are some other common best practices that new amateur astronomers should be aware of as well. Viewing on a clear night is an obvious requirement to get the best images and viewings possible, and preferably in a location with minimal light pollution. While the backyard is convenient because it’s only a few feet away, if the house is located in a city of any kind, the viewing won’t be as good as it otherwise could be. To remedy this, I recommended that amateur astronomers who want the best viewing possible seek out locations that are somewhat rural and with virtually no light pollution. A full moon can also put a damper on a night’s viewing because it brightens the entire sky and makes distinguishing details on planets and other celestial bodies much more difficult. To view the moon itself, a full, bright moon is obviously useful (although I think it looks so much better through a scope when it's a crescent!) but for viewing anything else with a telescope it really only serves to make viewing more difficult.